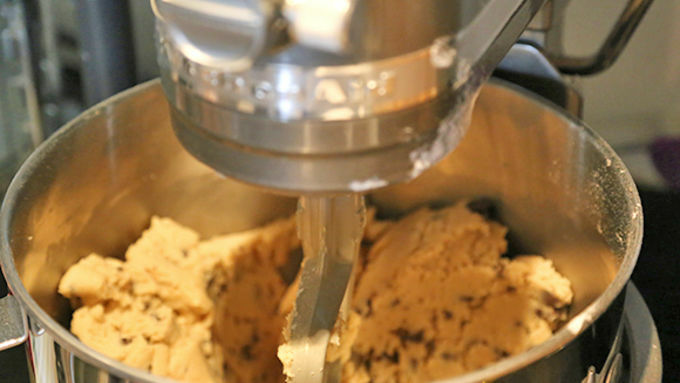 Make the cookie dough. Using an electric mixer, beat the sugars and butters together on medium speed until smooth. Mix in the 2 (not 4) eggs and vanilla and mix until combined. Add in the flour, salt, and baking soda and mix until combined. Stir in the chocolate chips. Set aside. Make the brownie batter. 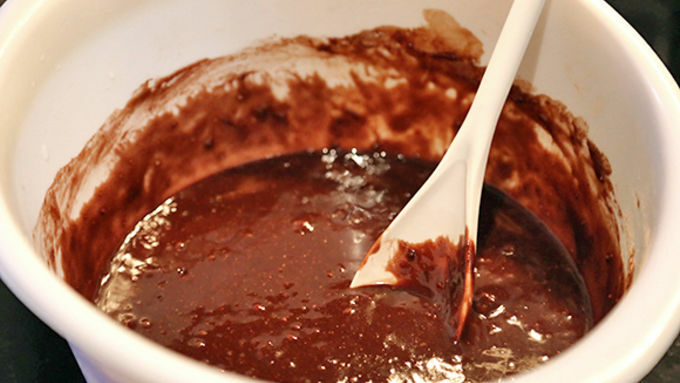 In an separate bowl using an electric mixer or mixing by hand, blend brownie mix, water, oil and 2 eggs. 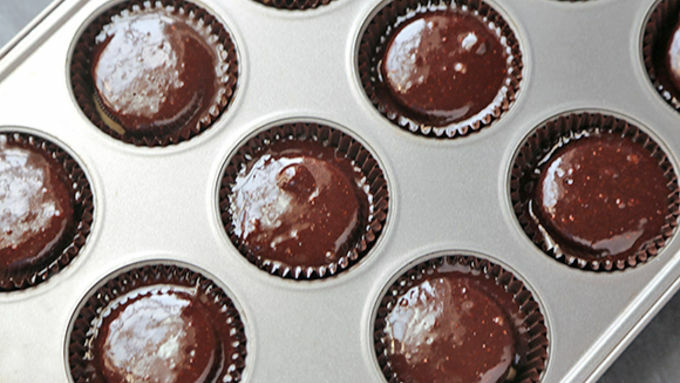 Line 24 baking cups with paper liners, or grease with cooking spray. 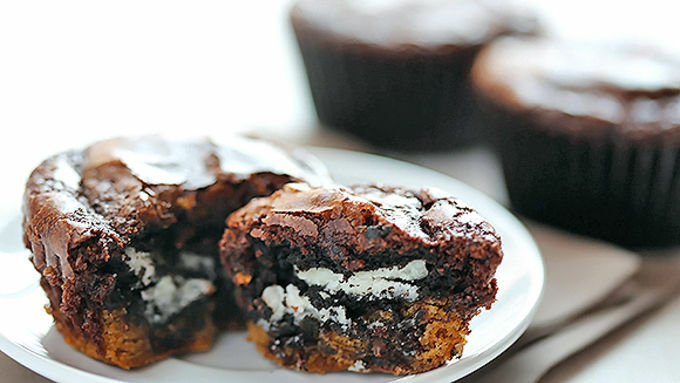 Spoon 1 tablespoon of cookie dough into the bottom of each baking cup, and press it flat into the bottom of each cup. 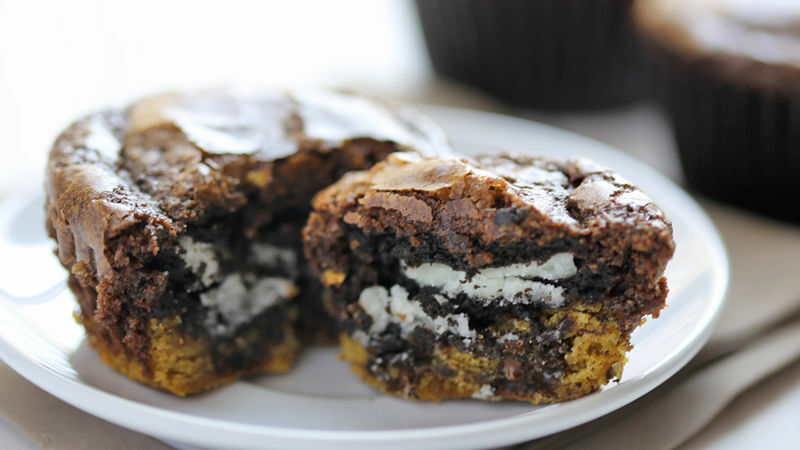 Then place a chocolate cookie on top of the dough. Spoon 1 tablespoon of brownie batter on top of the cookie. The baking cup should be nearly full. 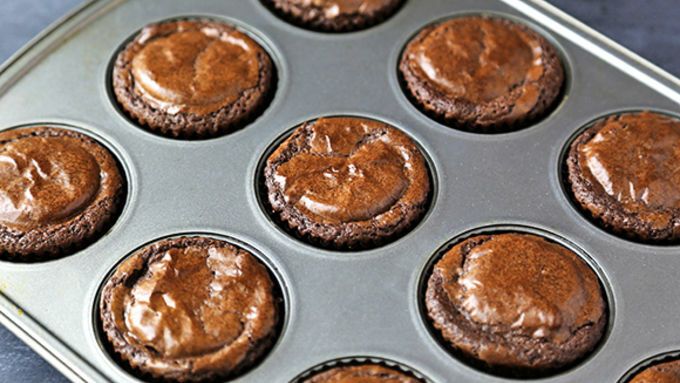 Bake for 30 minutes, or until a toothpick inserted in the center of each baking cup comes out clean. Remove from oven and let cool for at least 10 minutes. Serve as is, or topped with ice cream and chocolate sauce. Everyone loves a good spinach artichoke dip–but have you ever tried it with kale? Probably not. Both kale and spinach are superfoods packed with vitamins and nutrients, but in the green and leafy nutritional boxing ring who comes out the winner? It's actually kale. Kale is packed with more vitamins and nutrients than spinach. This Kale and Artichoke Dip is a cheesy twist on the spinach and artichoke classic. You can chop the artichokes finely, but you can chop them pretty coarsely for the dip so that you know what you're biting into. Instead of mayonnaise and sour cream in this dip, we're substituting Greek yogurt. It has the same creamy texture but with a whole lot less fat and more protein. But who are we kidding, we're going to sneak a little cheese in there to make sure it has plenty of gooeyness as any artichoke dip should. The kale may look overpowering here but once it starts baking it will reduce down. When eating dips you want a sturdy chip that can hold its own and not break under the weight of a hearty bite. That's why I love these Food Should Taste Good Multigrain chips which are half chip and half cracker! Enjoy!